I don't know about you, but I absolutely love going to a spa. Not only is the atmosphere amazing, and the after mud room mini cookies delish, but I love to drink the Spa Water. What is Spa Water? Well it's water that has been infused with fruits, herbs, flowers etc. To create an amazing and healthful drink. It's said that you should drink at least eight - 8 oz. glasses of water per day which is 64 oz. Do you come close to this? Usually I am at that or under, but when I make spa water - I easily drink a gallon of water. I recently discovered an amazing book, created by the ever so brilliant Pam Wenzel. 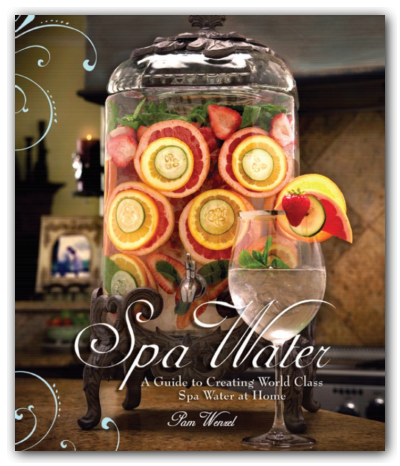 The book is titled "Spa Water, a guide to creating world class spa water at home." The Spa Water book offers amazing spa water recipes from across the world. Pam has really taken drinking water to the next level. Prior to owning this book I only would infuse my water with lemon or just squeeze some lemon in - how boring! The pictures in this book are absolutely amazing, and the recipes are brilliant. This book is definitely a must have for everyone in your life! Random note: Many of you have complimented how flawless my skin looks. Well water is said to help give your skin a flawless look. I drink about a gallon of water a day which helps to leave my skin looking like a china doll. If you want gorgeous skin I honestly suggest Pam's Spa Water Book. That is so funny you are doing a post about spa water, I am doing one in a couple of days. I just got back from Maui and everyday they had different flavored water throughout our resort. I became obsessed with trying to guess what the flavor of the day was going to be!! Spa water is so refreshing! The Red Door puts lime and cucumber in their water. I'm like you and drink tons of water everyday, it helps my skin big time! Ugh, I wish that water and water alone could help my poor skin! It does look ridiculously good though and I've never tried anything like spa water! I have never been to a spa, but you now have me curious about that book. I love spa water. It really does taste more refreshing, but usually the spas around me just have lemon or cucumber slices floating in the ice water. i actually love this water! where i live there are actually a fair amount of restaurants that do this (yes, surprising given ohio is like warped back in time some of the time). i see the nalgene made an appearance again..i love it! Love spa water!!! I need to make some so I drink more water!!! It is so refreshing!! I love spa water! Thanks for the info. Can you believe I've never been to a spa? It's sad. :) I've never seen such pretty water! I think I'm going to make some "Spa water" for our BBQ this weekend. I usually put lemons, and sometimes strawberries in my water, but I haven't tried anything else. This is such a fabulous idea and something I never thought to do at home. They had spa water readily available by the pool when I was in Hawaii and it was the best I ever had. I should definitely try making that. The strawberries, lemon and lime combo sounds super refreshing for summer. You’ve inspired me to buy some fruit this weekend! Oh my gosh, this is such a great idea, I can't believe I've never thought of this! I feel like this is very enlightening, I often struggle to drink enough plain water. I'm not a big fan of lemon water, but after seeing your post, I think there are so many other options out there, and I can't wait to try them. Once I'm out of ideas, I'll be sure to get that book. I looove Spa water!! I made some for a shower last summer with strawberries and kiwi! SOOO good! Spa Water is seriously one of the best things about going to the spa. My company always does a spa day in the summer...I'm already looking forward to it. I LOVE spa water too! So I will have to check out this book. My faves are cucumber, and citrus. Yum. My friend owns a spa~ ordering this book for her right now for her birthday! 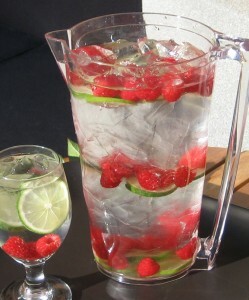 Bring on the spa water -- so tasty and great tips! I went to the spa whil ein HAwaii and their spa water was incredible! I LOVE water and seriously drink at least a gallon a day as well! I love spa water! My sister treated me for a spa day for my birthday and I just loved the fruit they added to the water. So fun! Not only does that look delicious - but it's beautiful! Love this! I'll definitely have to try it! 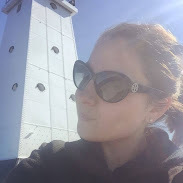 And wanted to let you know that you won my April necklace giveaway! :o) Just email me at: samanthavlee@gmail.com with your info so I can get it to you! cleansing liquid beauty! <3 love that! Oooo what a cool idea! Love all the ways you can prep the water!